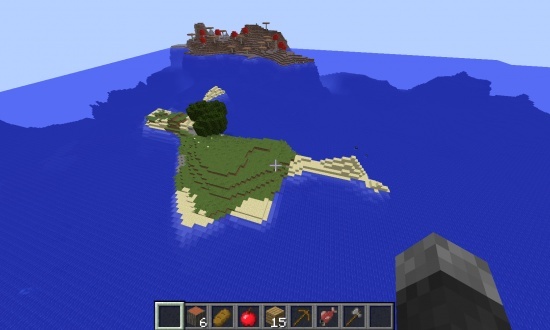 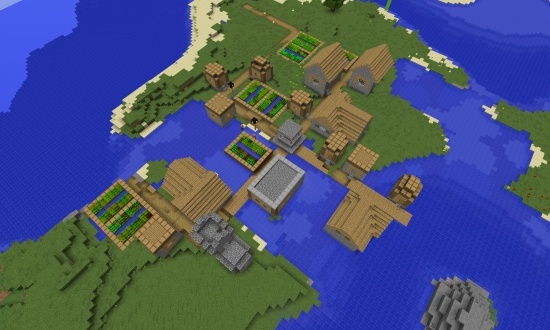 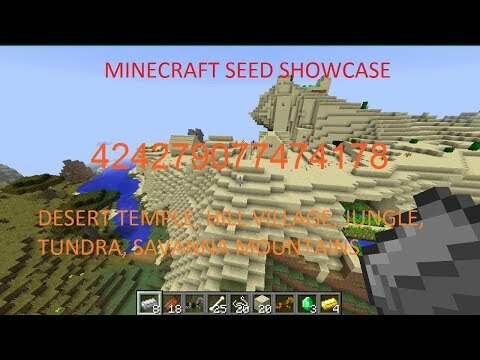 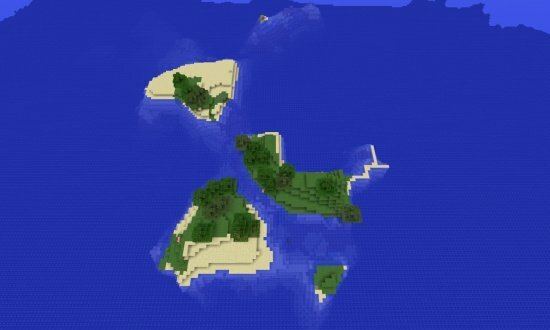 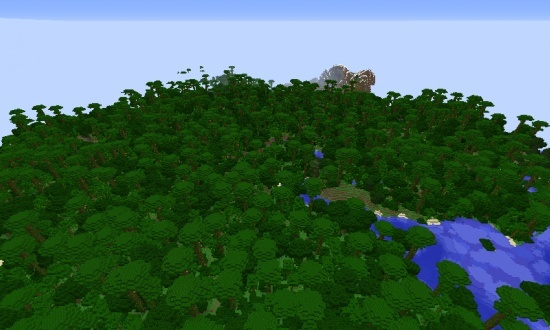 In this seed you spawn on the coast of a savanna, with a desert temple and a village relatively nearby. 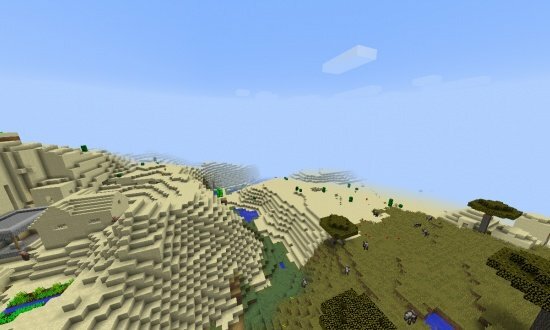 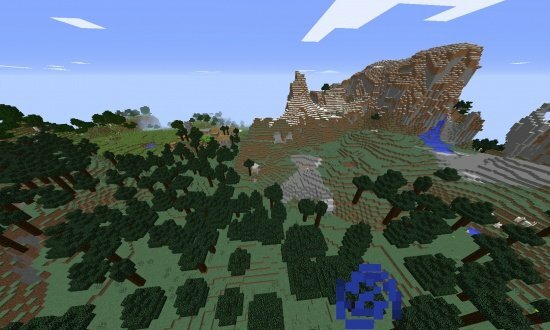 There are also some cool mountains southwest of spawn and a biome alignment FAIL about 1100 blocks northwest of spawn. 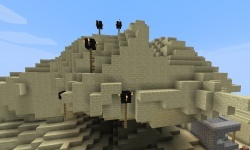 A village right around a large desert hill. 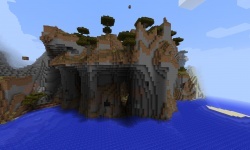 A cool mountain overhanging a lake. 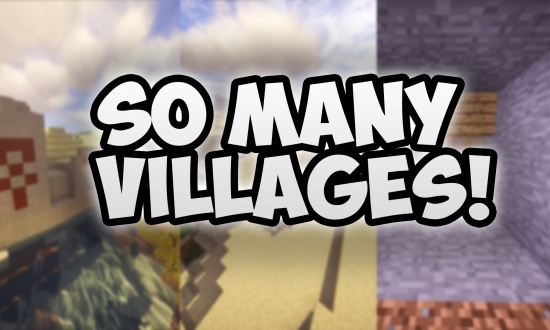 6 Villages, 2 Temples, and Mineshaft.